Do you have a go-to technique with adhesive? 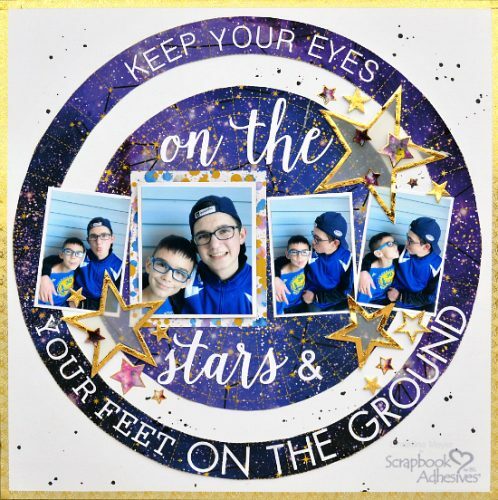 Christine joining you today and I am always using the “Wear Your Adhesive on the Outside” technique and especially love to use it on Scrapbook Layouts! Recently I showcased three different layouts showcasing that technique in Creative Scrapbooker Magazine. 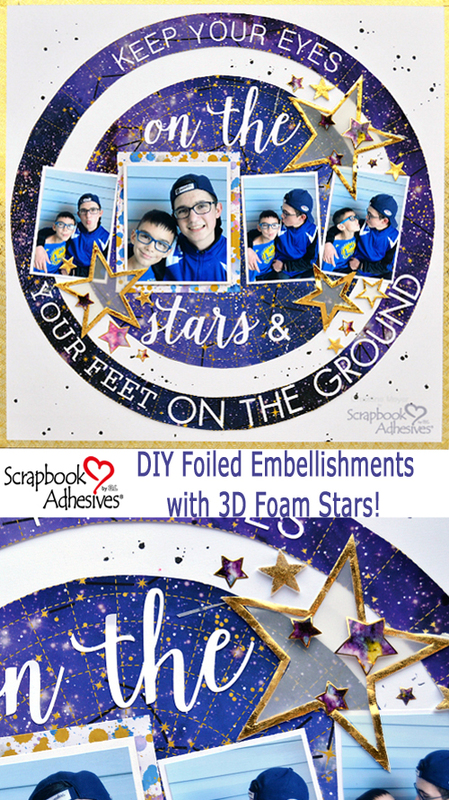 Today I am going to share the first one with you – how I made 3D Foam Stars shine! The 3D Foam Stars are probably my favorite of all the 3D Foam shape options. 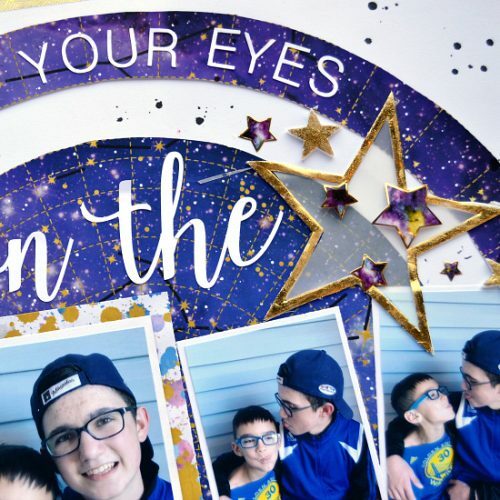 Of course, as a mom with three boys, it’s pretty rare to find any layout from me without stars on it! As I created this I knew that I wanted to use a lot of 3D Foam Stars. But I also knew that they were going to get lost amidst the patterned papers I was using. So I took a slightly different approach – putting the bigger stars onto vellum. This softened the background significantly and really allow those to shine as embellishments. 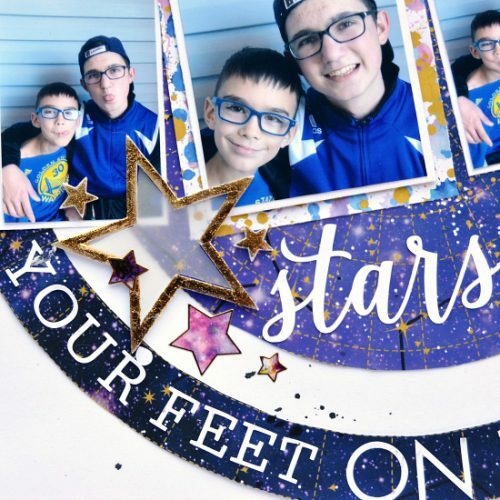 I used foil from the 3D Foam Holiday Embellishment Kit to cover all the gold stars. Applying foil to 3D Foam Adhesives could not be easier! I’m so glad there are so many foil options available now! Here’s another example of how well the vellum worked! I hadn’t tried this approach before, but I will definitely be revisiting it! Here’s a quick video on How to Use 3D Foam Hearts and Other Shapes below (I skipped to the foiling part). Finally, let’s take a look at some of the other adhesives I used to make this layout. 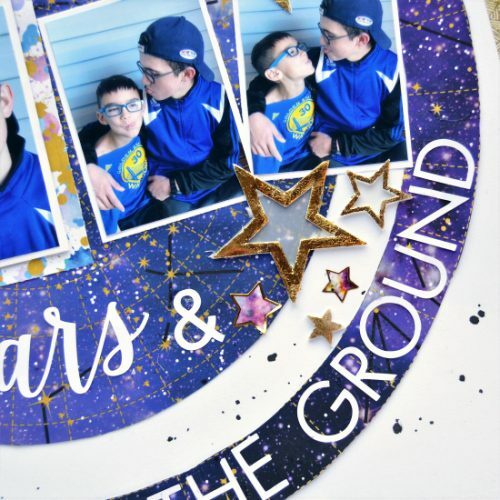 In order to add all my simple pieces, the circles, and photo mats, I used the E-Z Runner Grand. I popped my pictures up using 3D Foam Squares and Crafty Foam Tape. Lastly, I used the E-Z Runner Micro Refillable Dispenser to attach my cut file words. I’ll be back later this month to share another layout with you! Thanks so much for stopping by today! This entry was posted in 3D Foam Shapes, 3D Foam Squares, Adhesives, Crafts & Tutorials, Crafty Foam Tape, E-Z Runner® Dispensers, E-Z Runner® Grand, Intermediate, Metallic Transfer Foil, Permanent Adhesive, Scrapbook Page, Scrapbooking, Skill Level, Wear your Adhesive on the Outside and tagged 3D Foam Holiday Embellishment Kit with Foil, 3D Foam Squares Mix White, 3D Foam Squares Regular White, 3D Foam Squares Small White, 3D Foam Stars, Christine Meyer, Craft Foil, Crafty Foam Tape White, Creative Scrapbooker Magazine, E-Z Runner Grand Dispenser, E-Z Runner Grand Permanent Strips Refill, E-Z Runner Micro Refill, E-Z Runner Micro Refillable Dispenser, Foil, Metallic Transfer Foil Holographic, Paper House Productions, Wear Your Adhesive on the Outside. Bookmark the permalink.